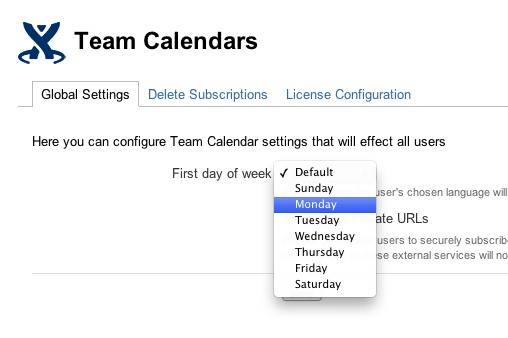 The Atlassian Team Calendars team is pleased to announce the release of Team Calendars 2.6. This release was focused on increasing the flexibility of how your calendars appear. Thank you for all your issues and votes. Also see our complete list of issues resolved. 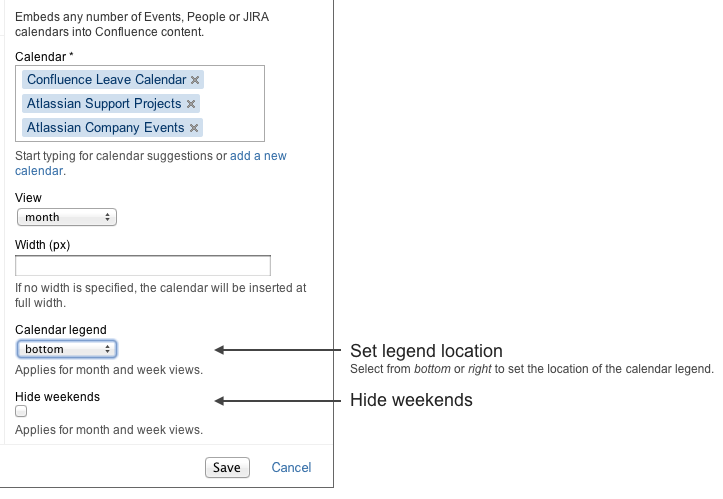 This is configurable via the "Team Calendars" settings screen in the Confluence admin console. Weekend view is helpful for support teams scheduling rosters. However, for those of you using Team Calendars to track projects, weekend view isn't required. We've added support for more time zones of calendars published from MS Exhange and Office 365, such as FLE Standard Time. See more supported time zones. Upgrading from a previous version of Team Calendars is straightforward. We recommend that you back up your Confluence database (which includes Team Calendars data) before upgrading. In Confluence, simply click 'Upgrade' in the Team Calendars entry of the Plugin Administration screen. Alternatively, download the latest release from our plugin exchange and install it via the Plugin Administration screen. This should upgrade Team Calendars to 2.6.0 (or higher).